Walking down the aisles of nostalgia, seeing things from the past: clothing from days gone by, vintage jewelry, children’s blocks, purses, cufflinks, and so many beautiful items defines a pleasant Saturday stroll through Pretty Funny Vintage, a shop that’s a must see to visit in Tarrytown. From New Jersey we traveled north on the Garden State Parkway, over the George Washington Bridge, onto the Major Deegan Parkway and north to Tarrytown. It took us approximately an hour and fifteen minutes from the Jersey Shore (in central Jersey) without traffic of any kind on the main arteries to slow us down. Walking through downtown Tarrytown always is a treat, but I can’t help myself when it comes to finding interesting pieces of jewelry from the 1950s at Pretty Funny Vintage. Stephanie, the owner, is always on the lookout to purchase goods from estate sales, or privately purchased items, to entice her shoppers with new items nestled on her neatly arranged shelves. I find the shop is always well-maintained in the highest quality, displaying their clothing on racks, jewelry on shelves, or tucked neatly inside glass cases. 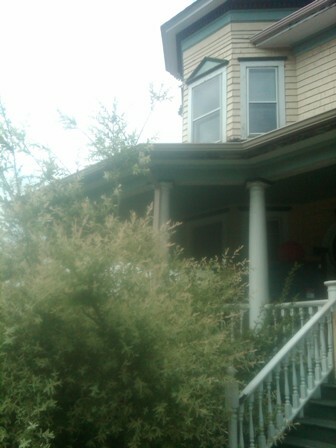 It has the air of a New York City Fifth Avenue shop in a little, downtown, suburban town. Check Funny Vintage out on their website for sales and special events, especially for Mother’s Day next Sunday. I’m sure you’ll find something you can order by phone and have your gift sent to your mother, aunt, sister, or daughter. I have to admit, for me, the whole experience is in the browsing, searching for that perfect item that cannot be duplicated anywhere else. That’s what so special about Pretty Funny Vintage – the uniqueness of its one-of-a-kind pieces. If you find yourself with a day off and nothing to do, it’s worth the trip up to this quaint little village in the Hudson Valley. 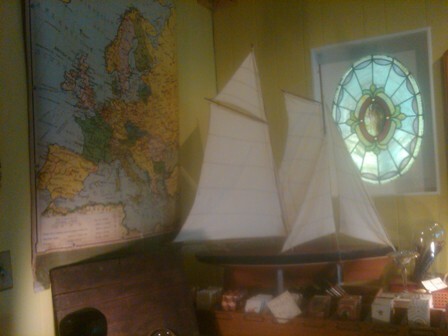 There so much to explore and the restaurants and hotels in the area are reasonably priced for an antiquing adventure. 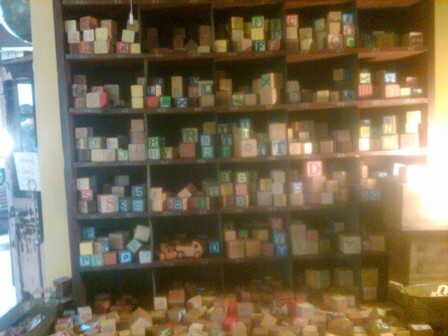 This array of children’s blocks always brings me back to my childhood. Those days of kindergarten, stacking blocks with classmates, are probably now a thing of the past. I can’t help myself. I have to stop and touch and reminisce. That’s what nostalgia and antiquing is all about. Check out the Marriott in Westchester, just a few blocks south of Tarrytown for an overnight stay. 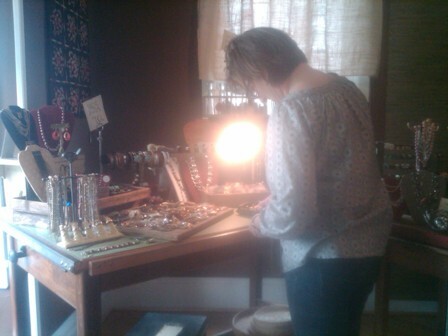 Antiquing makes for a great girlfriends getaway.